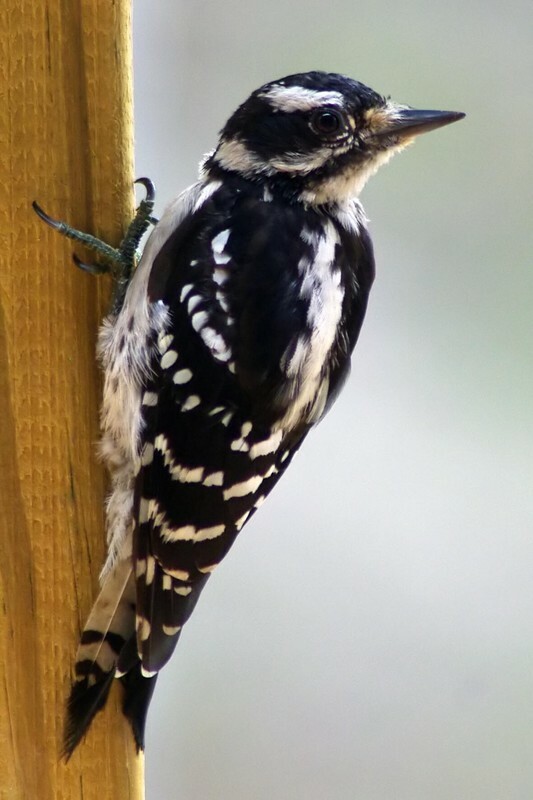 This is a downy, not a hairy, but is still a woodpecker. I actually prefer the original. It got hammered due to DNMC, but its a great study nevertheless. This is on my apartment balcony, just below a suet feeder. I love watching them move up the railings as if they are on a tree. Bravo! Very nice Downy WP, female. Meets the challenge well. I am honored. Proudly hosted by Sargasso Networks. Current Server Time: 04/24/2019 02:14:12 AM EDT.